On the first day we will visit the Valle de la Luna famous for its sand dunes, spectacular multi-colored badlands, and caverns. 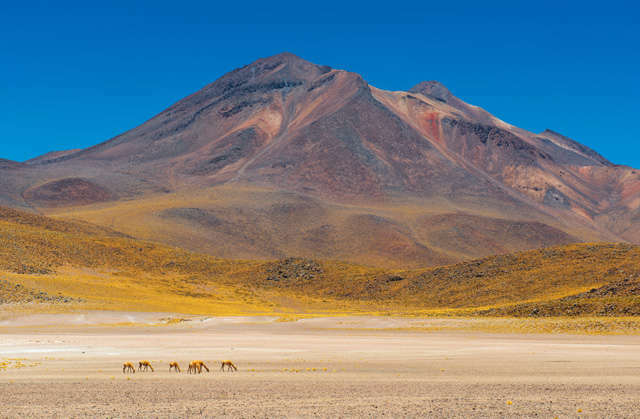 On day two we head towards the vast Salt Flats of the Atacama and the high altitude lakes of Miscanti and Miñiques where it's common to see wild animals that live in challenging weather conditions, such as flamingoes and vicuñas and in the distant the giant volcanoes of the Andes. 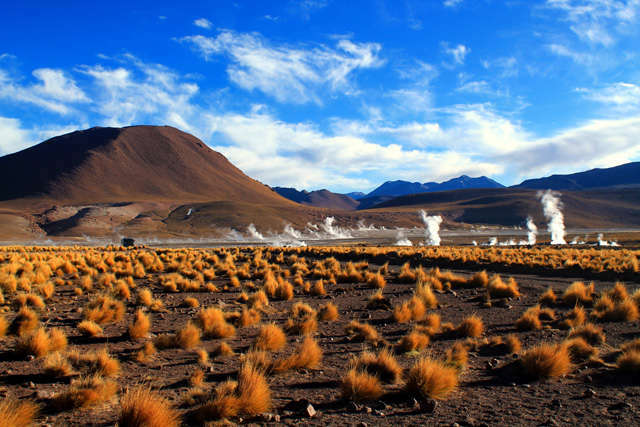 On day 3 you will enjoy the Geiser del Tatio (4380m) the world's highest altitude thermal area. 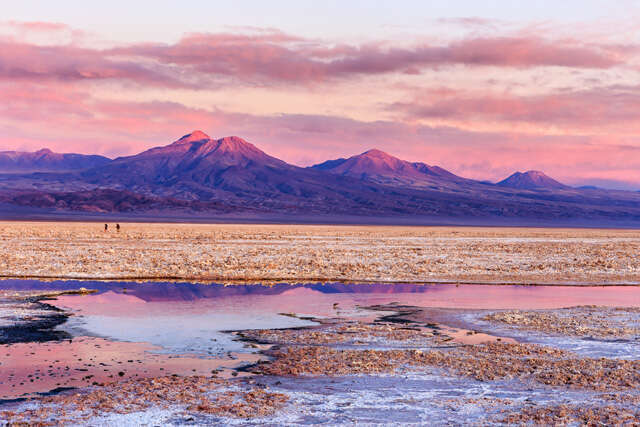 It's truly a wonderful experience to walk among the bubbling hot pots and geysers which are set against dark blue skies amidst the vast desert of the Atacama. 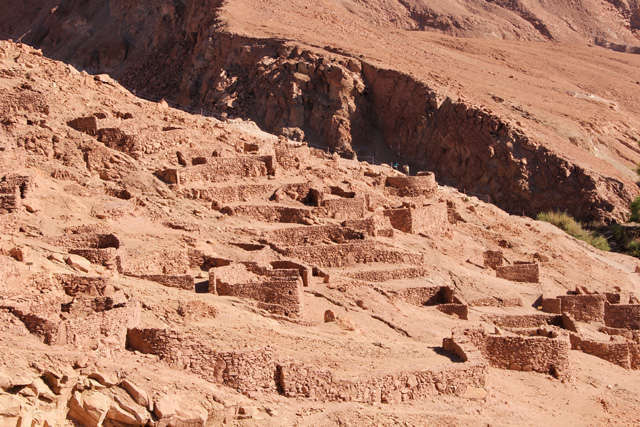 We will pick you up at the Calama airport in the morning and drive you to San Pedro de Atacama. 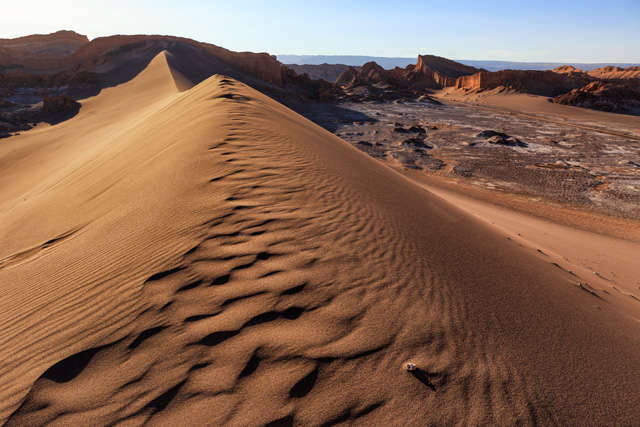 After lunch and a brief rest we offer an afternoon excursion to the Valle de la Luna an area famous for its colored badlands, sand dunes and caverns. 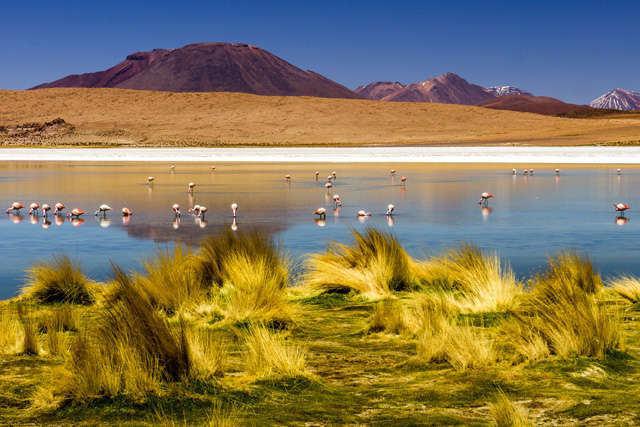 Today we will get an early start (4am) for the thermal area known as Geiser del Tatio. 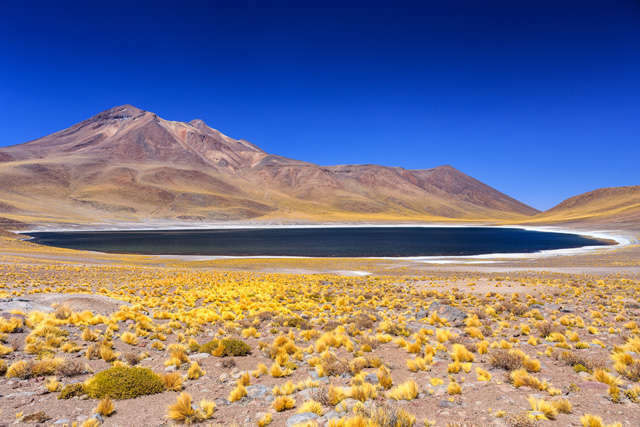 It's a beautiful landscape of geysers and bubbling hot pots set among the giant volcanoes of the Andes at 4380m. You will have plenty of opportunity to stroll about and talk photos while you enjoy the dramatic landscape. We will return to San Pedro in the early afternoon and you can relax the rest of the day.. Beginning of the day at your leisure, our driver will pick you up at your hotel and take you to the airport.